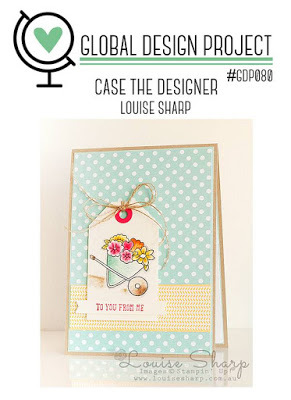 I thought I would try a design challenge today and cased Louise Sharp. 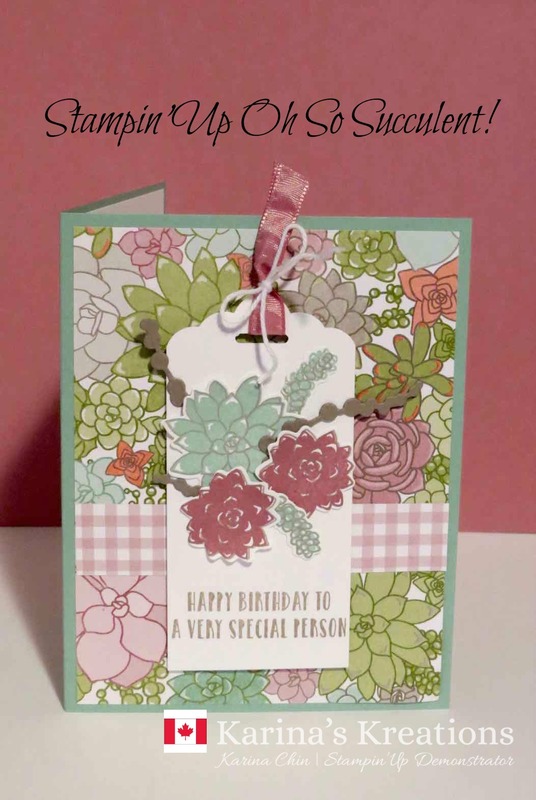 My design uses the Oh So Succulent stamp set and coordinating Succulent Framelit Dies. You can purchase these as a bundle #145184 which gives you a 10% savings. This bundle is $63.00 so you can also choose a free sale-a-bration item. 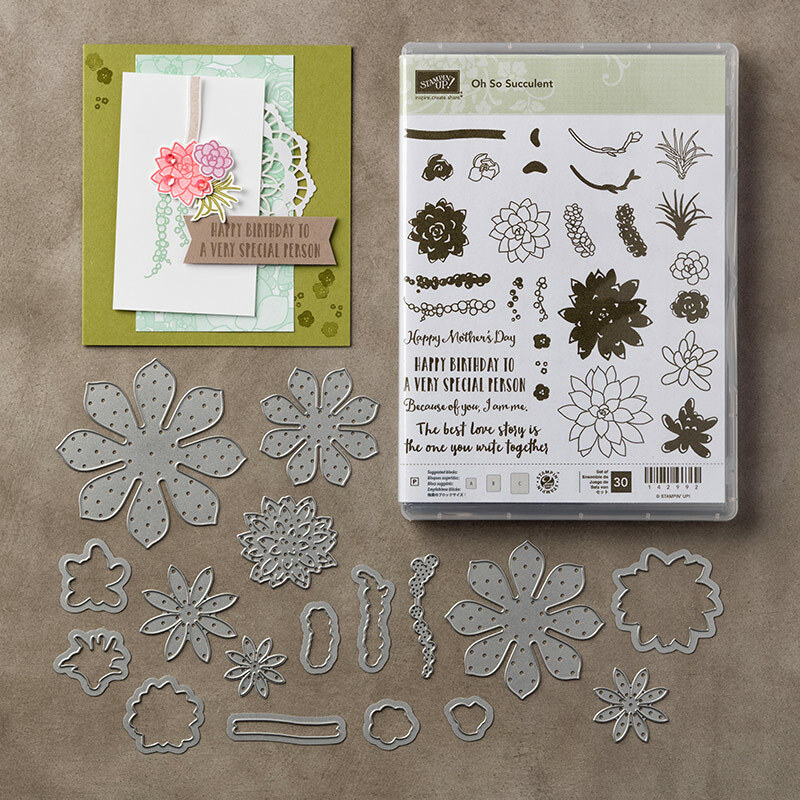 I would choose the Succulent Garden Designer Series Paper #147363. Normally it's $14.50 so make sure to place your order before March 31. I also used the Scallop Tag Topper Punch, 3/8" Sweet Sugarplum Ruched Ribbon and Whisper White Baker's Twine on my card. Gotta love those succulents. The white tag was a great choice to make it stand out. Thanks for playing with us at Global Design Project. A lovely card Karina and a great CASE of Louise's card. Love the colours you went with for those succulents. Thank you so much for playing along with this week's Global Design Project challenge! Look forward to seeing you play along with us again soon. Thanks Louise! It was a great design and cute card!! !